With a simple eye catching detail, the structure of the sofa plays between the slim appearance of metal and the robustness of wood. Thanks to the use of memory foam, the soft and clean lines of the sofa will be kept even with intense use. 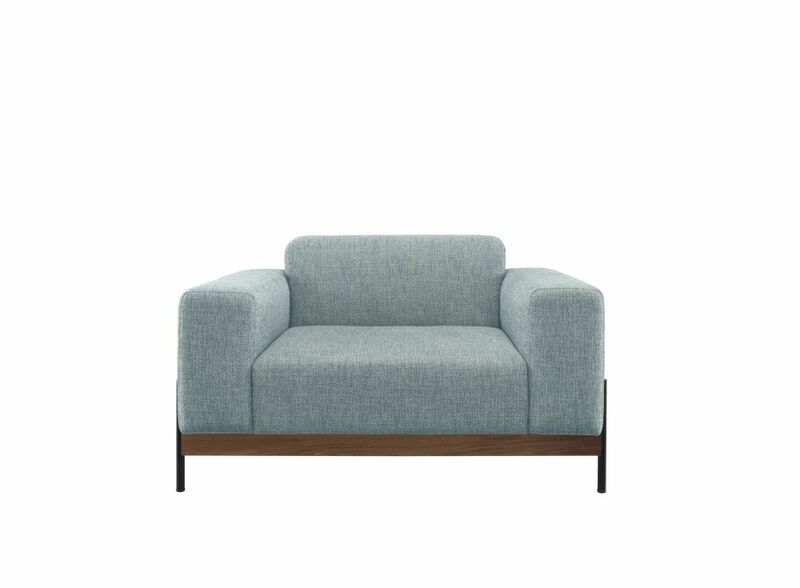 Being a modular sofa, it's dimensions can vary between a single armchair seat, to a 3 seat wide sofa. "Gonçalo Campos is a portuguese product designer. graduated in product design in 2008, he soon after joined fabrica, Benetton’s communications research centre, in the design studio. This gave him the chance to work with brands such as Secondome, Seletti or Zanotta. In 2009, he worked in sam baron’s studio, after which started developing a series of objects, continuing to explore the possibilities of design through function and material. Campos prides on finding simple solutions, through the sound use of materials and production methods, in a process that starts from within the object towards the outside. This results in recognizingly “smart” objects, often with a certain humor; reflex of a relaxed way of thinking and curious attitude." We believe that everything we do at Wewood is driven by an unwavering passion for creating a product of excellence.